Before I get into this blog, I sincerely hope that all of you were able to survive the bitter cold last week relatively unscathed. It goes without saying that the -35-degree wind chill last Wednesday was absolutely no joke. For me, not only were my hands freezing inside my gloves, it hurt to breathe. The closings and cancelations last week were wide but not necessarily unexpected. 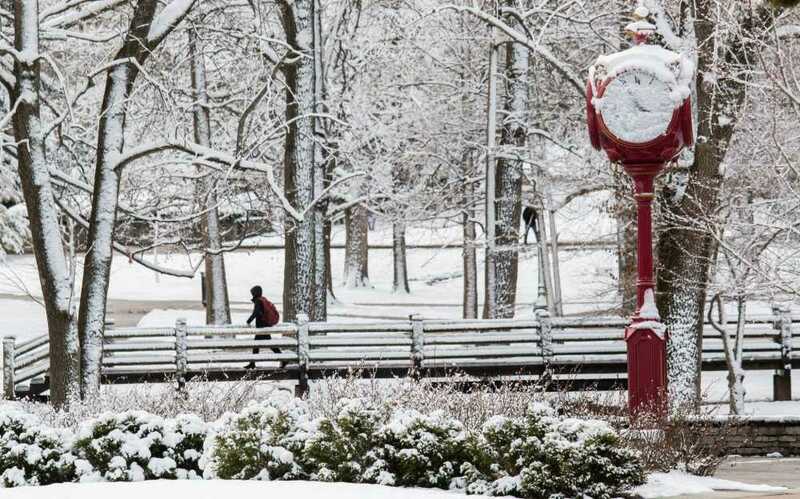 Larger universities like Ball State and IUPUI ended up canceling classes early Tuesday evening. DePauw's concurring decision to close campus was initially one of the more surprising moves. Wabash College, on the other hand, did not. Almost immediately after that announcement, I started seeing the Little Giant echo chamber poo-poo DePauw. Indeed, I was somewhat going along with it in my last blog thinking that larger schools had a reason to cancel classes. But it got to the point where I recognized the sensibility behind the decision. It's not as easy to get indoors at DePauw compared to Wabash, given how relatively spread out it is. If your dorm or fraternity is on the outskirts, it's a haul on foot to get anywhere on campus. The closure, as it did for places like Ivy Tech, also made sense to help keep traveling faculty and staff from risking what could've become a deadly scenario. Parking is also a regular premium at both campuses. Still, it was causative for some Wabash alums that DePauw being closed meant the "Dannies" were slacking off. That's an uncalled-for assumption when you consider that at least one professor at Wabash (that I know of now) canceled classes, but was given the option of posting assignments online. Should students have not been shamed into trying to make it if the same was possible here? It's not hard to stay honest. It also takes little to put down DePauw just for the sake of giving the university a smack, especially given the very real danger the cold brought with it. It's also not like Wabash hasn't closed because of this kind of weather, too. 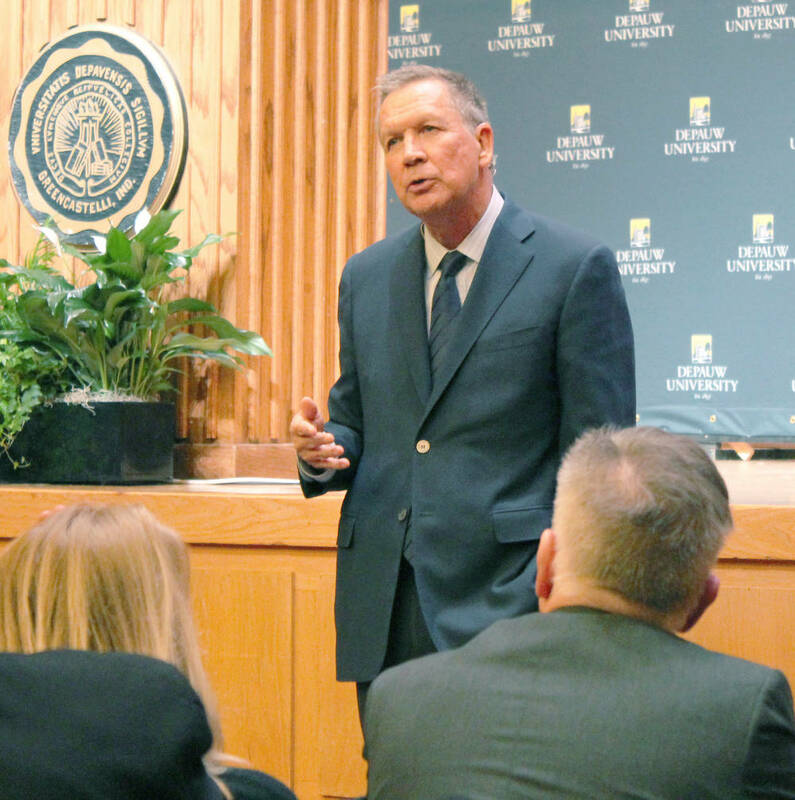 Jared and I also tag-teamed former Ohio Governor John Kasich's visit for his Ubben Lecture. It was really cool to get to ask him a question at the afternoon press conference beforehand, and his talk drew quite a crowd. You can find my article on the lecture here if you have a subscription. I jived with Kasich's perspectives, which I thought essentially captured the big picture of the divisions prevalent in this country. If he does end up running a campaign in 2020, and if the Republican Party unitedly rebukes Trump, Kasich is a seemly moderate I could warm up to based on what I saw last Thursday night. However, it's uncritical to hinge his positions on just his words alone. The same applies for any other candidate. Feel-good rhetoric has to be taken at face value, and actions can speak louder than words. The immortal words of Dean Moore: "It's not a boy's school, it's a men's school". I told you in an earlier comment that it was brutally cold, didn't realize the wind chill hit -65. Guess it was a "dry" cold.